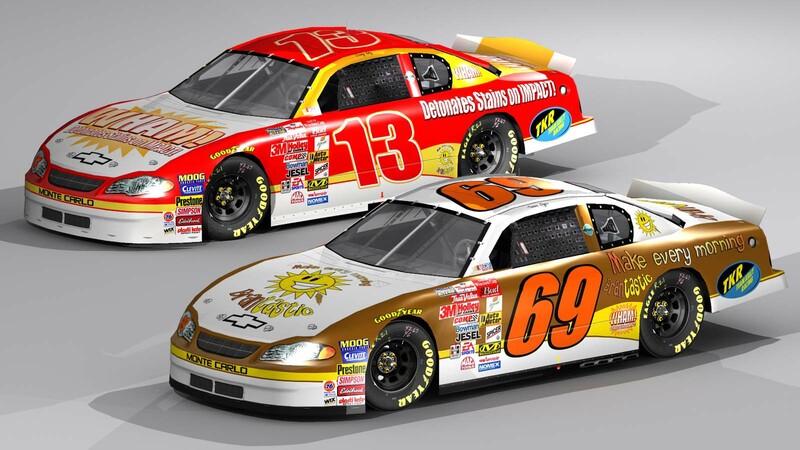 Yesterday I posted the TKR cars used in season one of The Kellys in 2001, now here are the cars from 2002 with new sponsorship deals. I had to take some liberties with the side panels since the animators got a tad lazy and left them blank. Same credits as the season one cars which can be grabbed if you click my name and go under this upload. Cars come with crews, and comments welcome! ... good job again, thx .